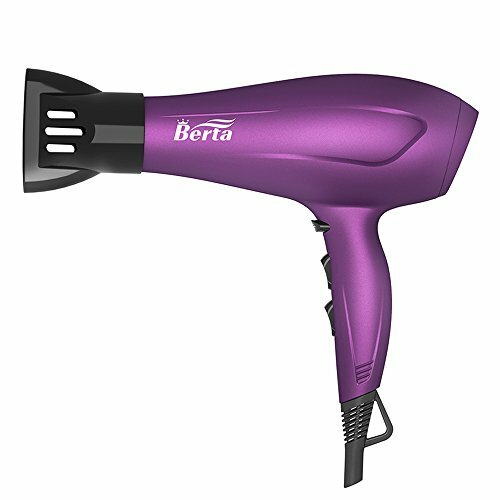 BERTA 1875 Watts Negative Ionic Blow Dryer Soft Touch Finish is currently selling at $38.99, which is its normal price. It has a lowest price of $38.99 and is selling within its usual range. Price volatility is 0.15% (meaning it does not change often), so you might have to wait a while for the price to drop. Until then this is a recommended 'ok deal'. The current deal is also the best price on this item over the last month. 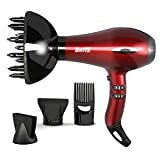 Compare the current price, savings (in dollars & percent) and Buy Ratings for the top Hair Dryers that are closely related to BERTA 1875 Watts Negative Ionic Blow Dryer Soft Touch Finish. Here is how BERTA 1875 Watts Negative Ionic Blow Dryer Soft Touch Finish compares with other leading Hair Dryers. 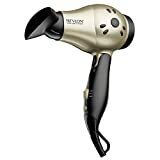 BERTA 1875 Watt Tourmaline Negative ions Lightweight Hair Dryer • 1875 Watts, A powerful hair dryer that features tourmaline ceramic technology. Its tourmaline infused body and concentrator keep hair healthy no matter the style. The DC motor provides lightweight body, low noise features, and the 1875 watts could let your hair dry less than 5mins. • With cool shot button, 3 multiple heat and 2 speed settings, choose the perfect temperature and air speed for styling needs. Cool shot releases cool air to lock-in the style. 3 heat settings(Hot/Warm/Cool) and 2 speed(HIGH/LOW) for complete drying and styling flexibility. • Negative ionic break down water molecules resulting in super-fast dry time, reducing dryness and damage to hair. • 2.2 meters salon power cord with hanging loop, stored it so easy. • What's in box: 1* Negative ions Lightweight Hair Dryer by Berta 1* Concentrator nozzle 1* User's manual . • If you have problems, please email us firstly about your concerns. We commit to offer you the best product and service. 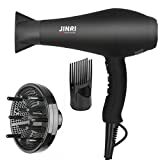 FeaturesDC motor, lightweight and soft touch finish body, 1875 Watts, A powerful hair dryer that features tourmaline ceramic technology.With cool shot button, 3 multiple heat and 2 speed settings, choose the perfect temperature and air speed for styling needs.Negative ionic break down water molecules resulting in super-fast dry time, reducing dryness and damage to hair.100-125VAC, 60Hz, ALCI Safety Plug, 2.2 meters salon power cord with hanging loop, stored it so easy.